Channel delays: strong winds mean all P&O Dover-Calais services delayed 30-60mins. All DFDS Dover-Calais/Dunkirk delayed by up to 60mins. Weather alerts: Amber alert for heavy rain/storms substantial area of west/central Italy, Sardinia and Sicily. Weather: Mixed. Best weather in Iberia, next best south east. France and Belgium dry with sunny spells. 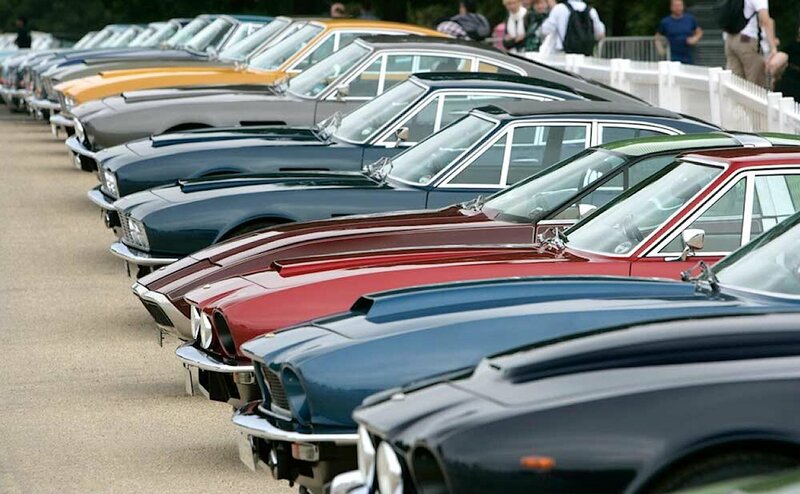 Assorted Aston Martins gathered in Belgium earlier in the summer to celebrate the company’s centenary. It was also the second memorial rally of Rene Michiels, the mechanic who rose to become Aston’s dealer in Antwerp (they currently have a silver 007 1964 DB5 for sale for €460,000). Still trying to work out what the car fourth from right is.